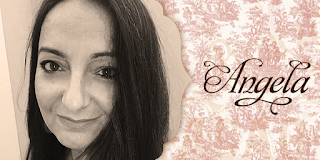 Angela here! 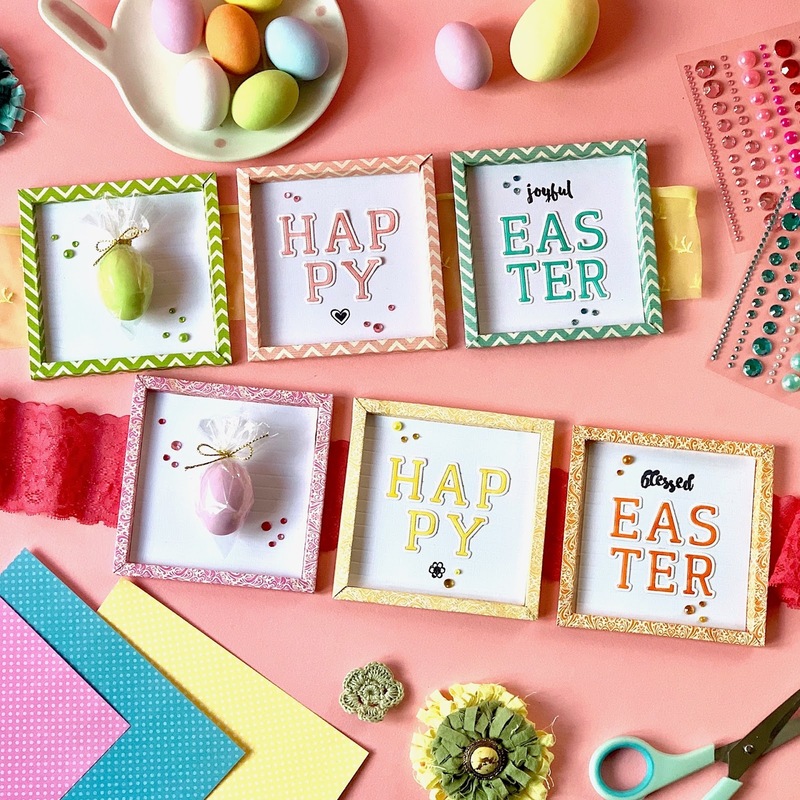 It's Easter time and my today project is just about that. 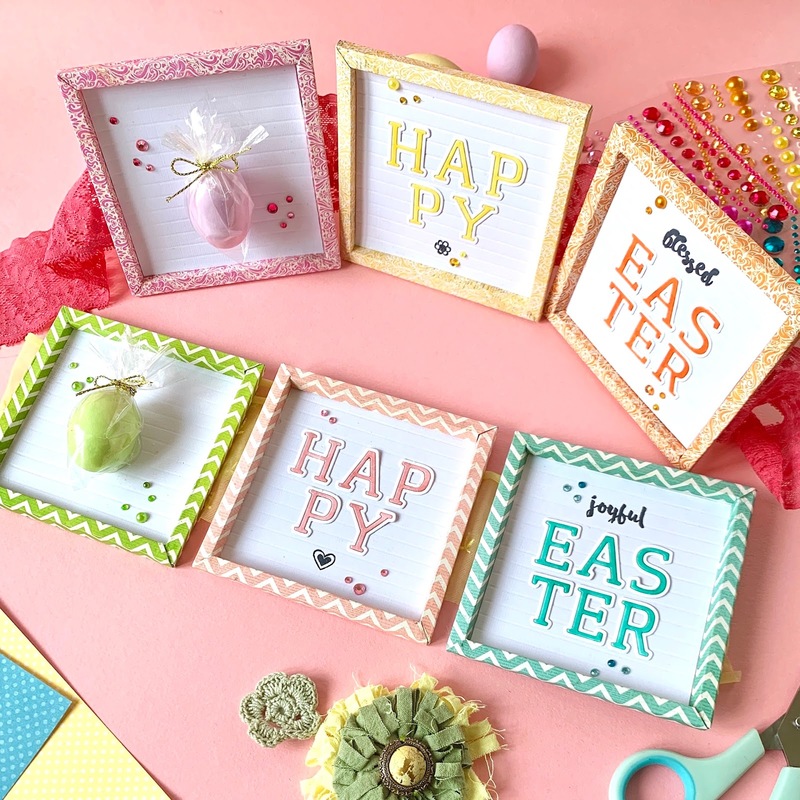 I made a couple of frame cards using the colorful BoBunny Double Dot cardstocks and a surprise included! My intention was to create a little letterboard with a message inside. So, first I created the frame of the card using a 6x6 Double Dot cardstocks. Then, I scored a piece of white cardstock every other quarter of inch and placed it inside the frame. For the sentiment I used the BoBunny Triple Play Alpha. 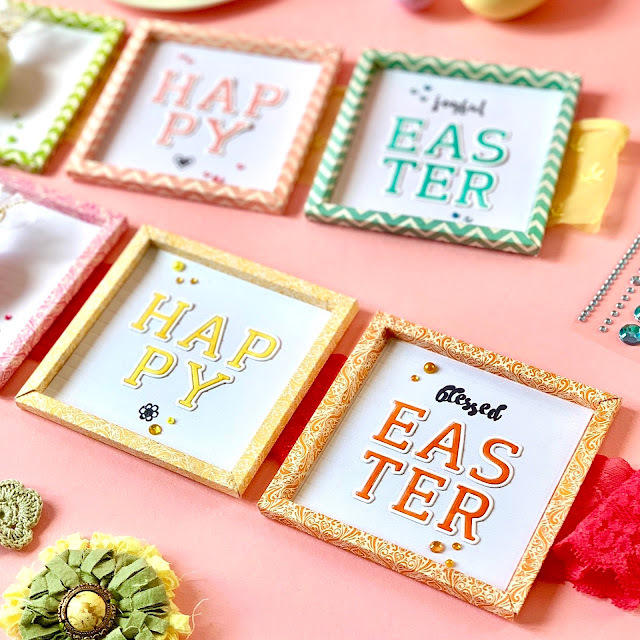 It's a very fun die set which cuts the letters with a little border around. I think it's very useful because it has several possibility of use.You can use the letters, the outline of the letters or both together. In my case, I decided to color the inside letter to match the frame of the card. I used my Copic markers, but any marker or even pencils would work fine. 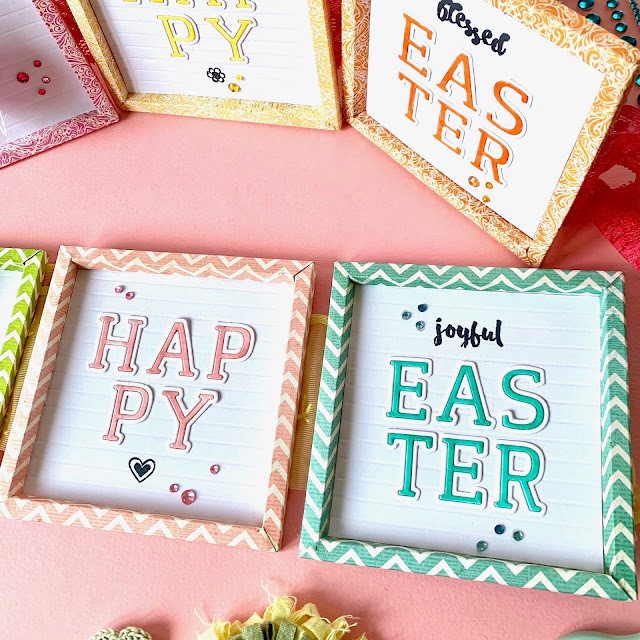 Then, I placed the colored letters back in their frames so to have a cool white border around them. 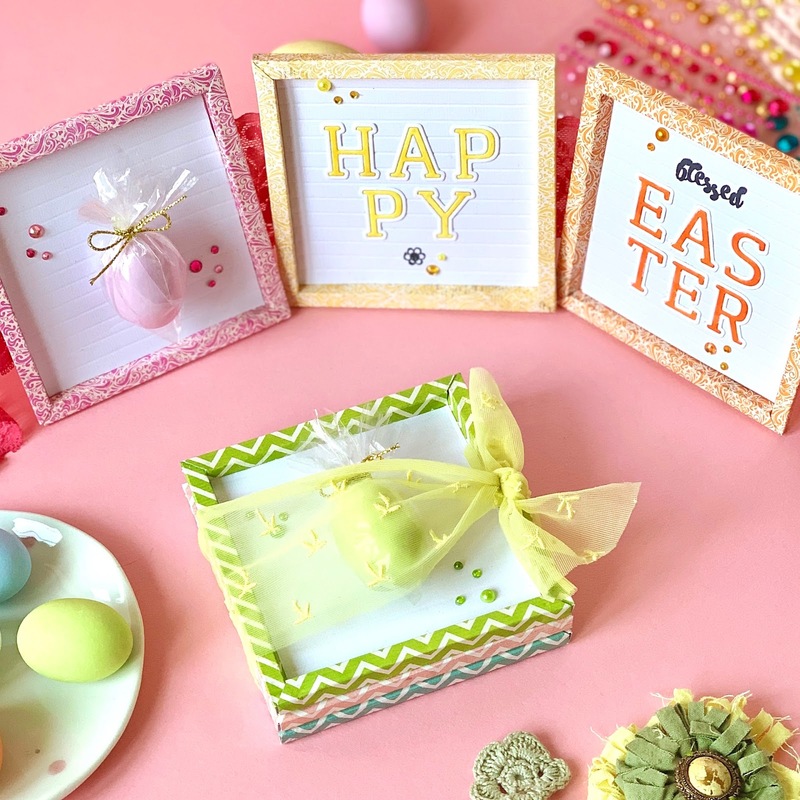 The Frames are connected by a lace glued underneath and the cards open like an accordion, with the first frame with the Easter Egg placed in the front. You can use a tulle too or a ribbon. What is important is the height, it must be a couple of inches at least, to keep everything in place. When the card is closed, it looks like a little box, with the three frames aligned one on the other. 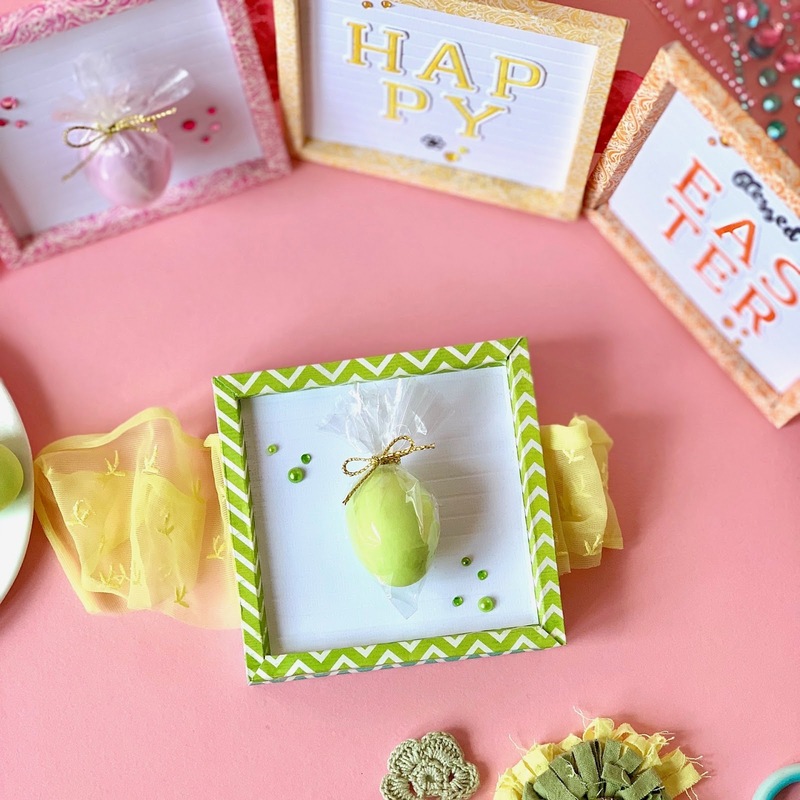 The lace not only connects the frames, but also keep the card closed and helps keeping the heavy Easter Egg in place. Opening up the card, you find the little surprise of a chocolate egg! That's all for today! I hope you like the idea of a little Easter Frame Card and if you'll make a frame card too, please share it, I can't wait to see them all.